4.8 out of 5, based on 21 ratings and 21 reviews. 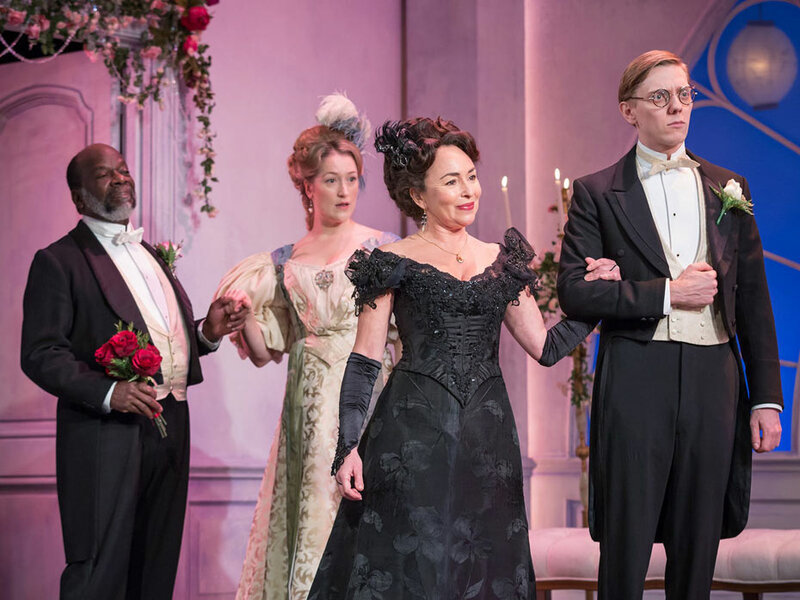 Last chance to see Kathy Burke's 'gloriously funny' (Broadway World) Lady Windermere's Fan at the Vaudeville Theatre before it ends on 7 April 2018. The day of Lady Windermere’s birthday party and all is perfectly in order. Until her friend Lord Darlington plants a seed of suspicion. Is her husband having an affair? And will the other woman really attend the party? 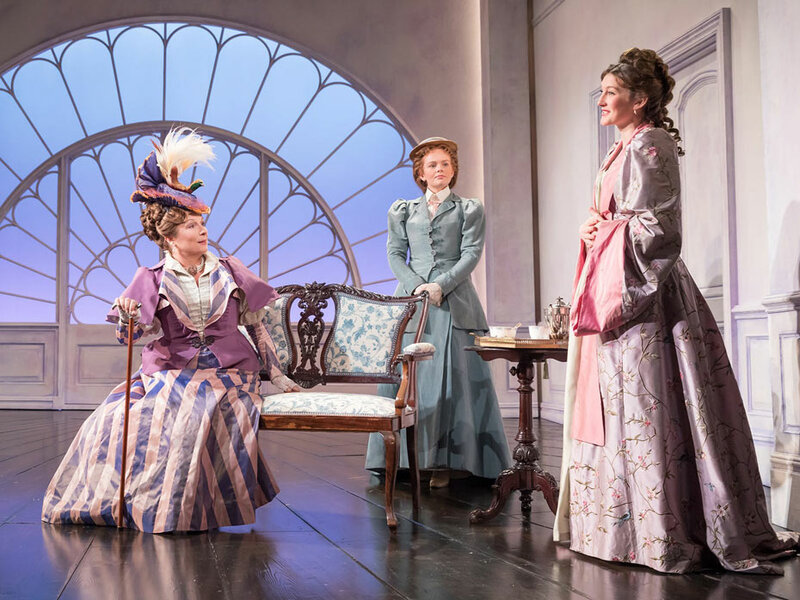 Inspired by the ‘superb’ Samantha Spiro (Guardian) and ‘dashingly funny’ Kevin Bishop (The Times), Jennifer Saunders 'steals the show’ (Sunday Times), leading a ‘roster of excellent performances’ (Daily Express), including the ‘spellbinding’ Grace Molony (London Theatre) as Lady Windermere. 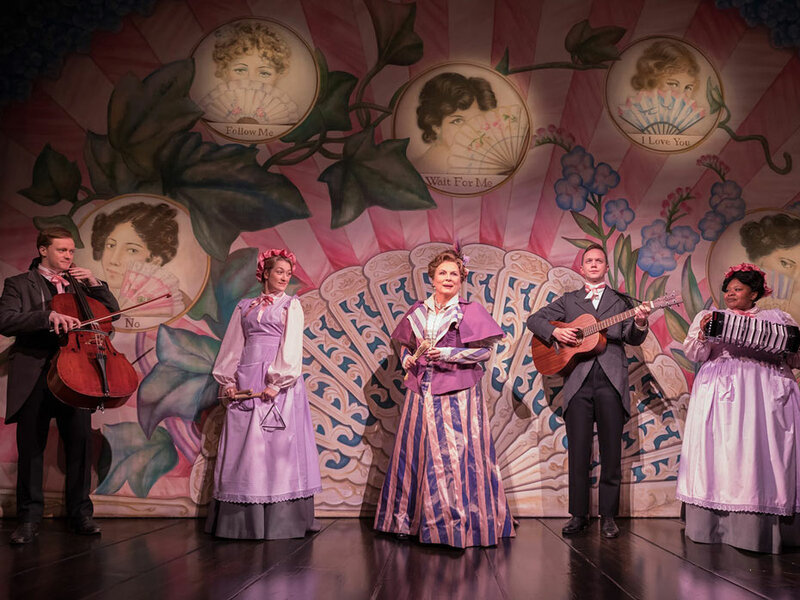 At London's Vaudeville Theatre for 12 weeks only until 7 April 2018, book your Lady Windermere's Fan tickets today! 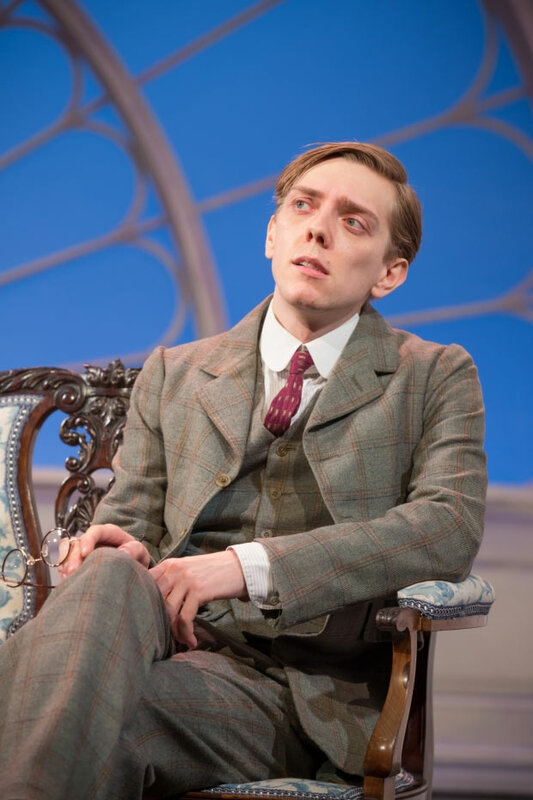 The Oscar Wilde season continues at the Vaudeville Theatre with highly anticipated productions of The Selfish Giant (10 – 14 April), An Ideal Husband (20 April – 14 July) and The Importance of Being Earnest (20 July – 20 October). To view other events from the Oscar Wilde Season, please click here. 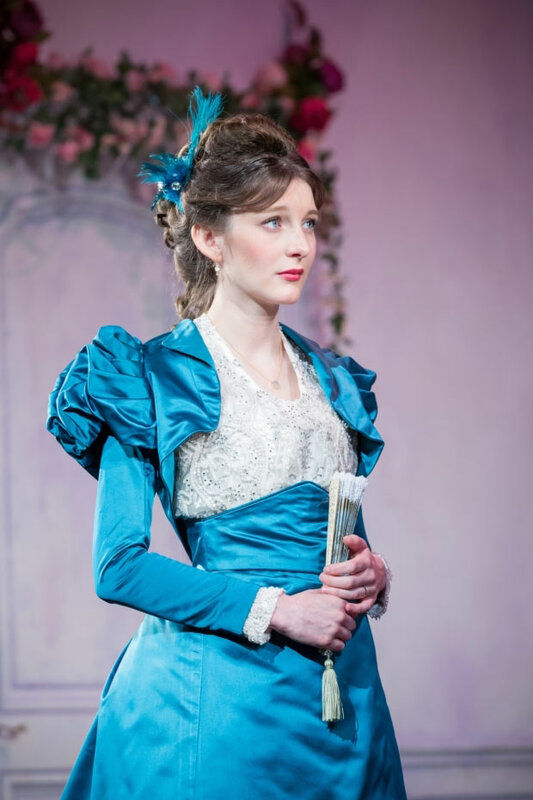 "Lady Windermere's Fan", Vaudeville Theatre tickets may be purchased by following the Book Tickets links on this page. You will be purchasing your "Lady Windermere's Fan" tickets from the Ticket Machine Ltd, trading as LOVEtheatre. We will always provide you with our contact details before you book your "Lady Windermere's Fan" tickets. Where applicable, "Lady Windermere's Fan", Vaudeville Theatre ticket prices may include a booking fee which will always be shown separately. LOVEtheatre will not charge you any additional amounts for the dispatch/delivery of your "Lady Windermere's Fan" tickets. Prices are subject to change without notice. 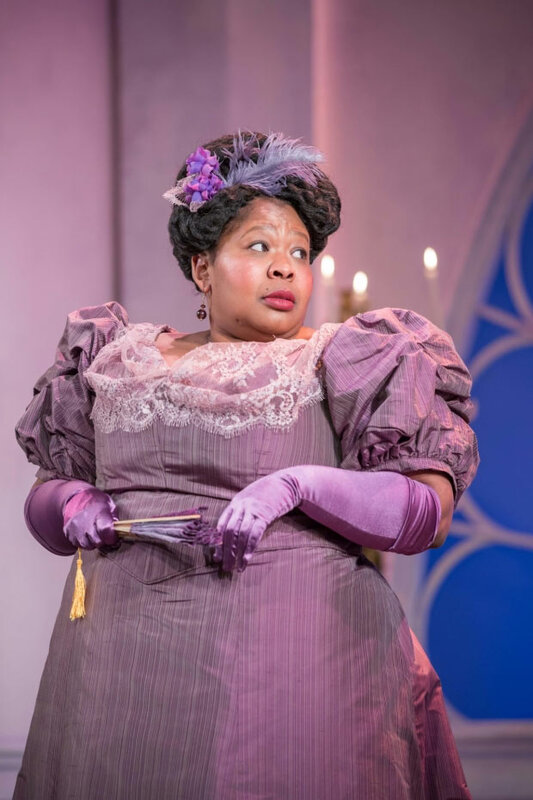 Your purchase of "Lady Windermere's Fan", Vaudeville Theatre tickets is conducted securely online using 256-bit encryption assured by DigiCert. 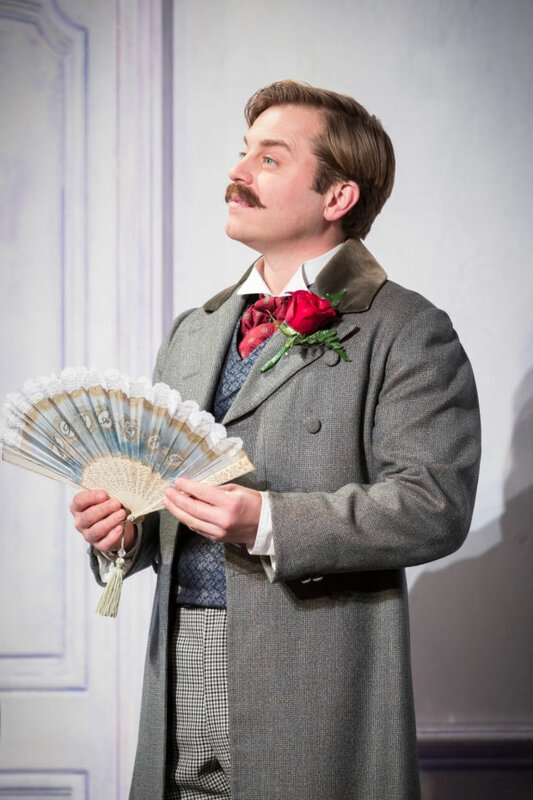 On receipt of full payment for your "Lady Windermere's Fan" tickets we will issue a confirmation of booking. When booking online this will be in the form of a confirmation page and accompanying confirmation email. It was a wonderful play, cast superb. Loved seeing Jennifer Saunders in person. All the cast shared the stage, great ensemble. Jennifer Saunders added perfect timing to Oscar Wilde’s witty and politically perceptive play. The impromptu song was pure vaudeville and a delight. Excellent performance by Jennifer Saunders, and enjoyed the comedy very much especially the music hall performance in the middle. Thoroughly enjoyed the show with a pleasant surprise during scenery change! Grace Maloney was excellent in her debut role, look forward to see how her career blossoms. Highly recommended! This was the first time I had seen this particular play so I was intrigued by the plot. There were plenty of witty lines as one expects from Oscar Wilde. The costumes were beautiful especially the dresses. The acting was excellent and the play was very entertaining. However it was not all wit and laughter as there was also pathos and sorrow. 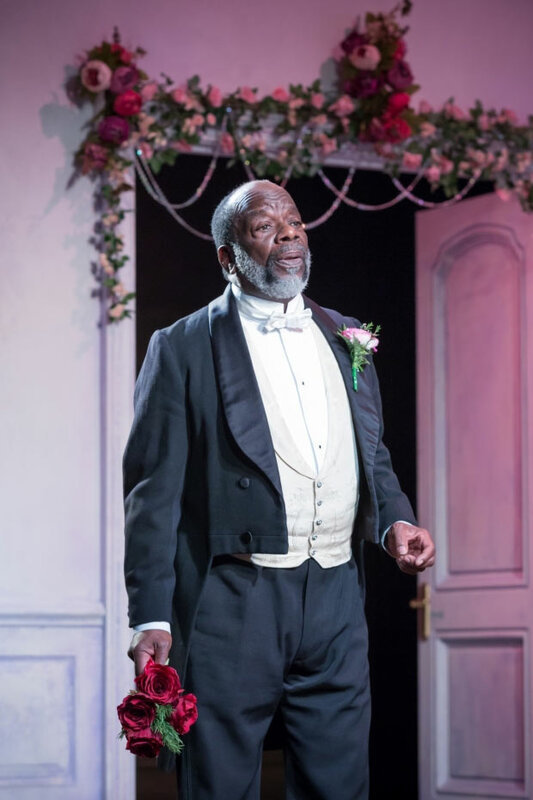 At the start Lady Windermere thinks everything is black and white, good and bad but by the end of the play she realises the world is more complicated than that. Extremely funny and an excellent production. It stands out from other plays and is a must see for anyone who is wondering what to watch on the west end stage. I went to see this play last night at the Vaudeville. The set makes full use of fan imagery including windows, door and safety curtain and from the gallery the floor looked fab too! Jennifer Saunders played the Duchess brilliantly using the script and physical comedy to good effect. I also liked the scene change music hall song and would love to get hold of a rendition to recall the full comedy of the verses. This play is full of well-known Wilde quotes including knowing the price of everything and the value of nothing - one of my favourites. Enjoyed the show very much, as was to be expected Jennifer Saunders gave a fabulous performance. The ditty in the middle was a gem, congratulations to K Birke for a fine piece of production.